Roger Ailes biography The Loudest Voice in the Room by Gabriel Sherman, reviewed by Michael Wolff. Gabriel Sherman’s biography of Roger Ailes. 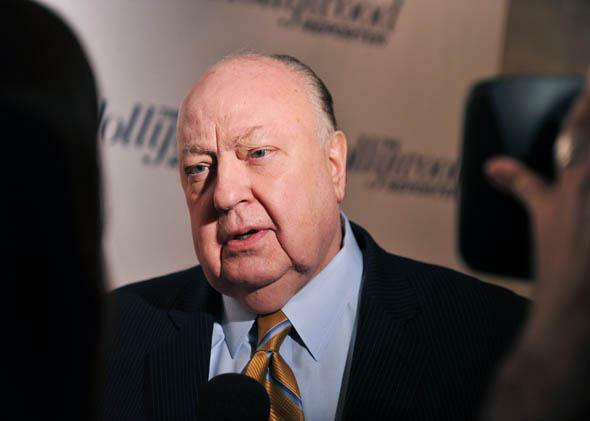 Loquacious Fox News President Roger Ailes, pictured in April 2012 in New York City, wouldn’t talk to Gabe Sherman for Sherman’s biography of him. And it shows. 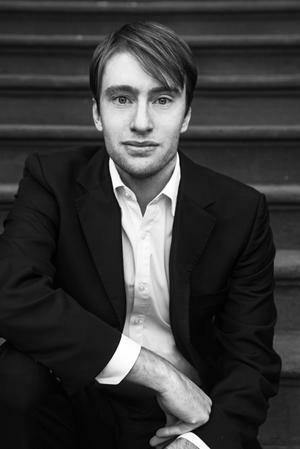 Gabriel Sherman is part of a group of young media reporters—many starting out at the New York Observer under the tutelage of then-Editor Peter Kaplan, an avowed media nostalgist—who have seen their subject, the power of the media, pulled out from under them. The culturally dominant, class-conscious, politically influential, and largely liberal news business, the subject of big books of the ’70s, ’80s, and ’90s, started to die just as their careers began. A desire to recover that centrality, and to hold accountable the forces that diminished it, seems to motivate Sherman’s book about Fox News chief Roger Ailes, The Loudest Voice in the Room: How the Brilliant, Bombastic Roger Ailes Built Fox News—and Divided a Country. Sherman’s conceit is that he is still writing about something at the center of American life and culture, something that has turned evil, rather than, in fact, marginal. In a sense, this book is a quest for a whale—but it is one the author can’t find, has no intrinsic feeling for, and that is able to elude him. Many people have pursued this whale. The Fox News story has been told by the documentary filmmaker Robert Greenwald in Outfoxed, and in a variety of other antipathetic accounts, including Al Franken’s Lies and the Lying Liars Who Tell Them. Sherman’s hardly bringing anything meaningfully new to this story. But that is not his book’s principal shortcoming. The shortcoming is its failure to tell the story with feeling. The Loudest Voice in the Room is a dour and grudging account. A book is a long slog for a reader, as well as for a writer, when you don’t want to spend time with the subject. Sherman’s story is most vivid when it quotes Ailes himself. But, in a fairly underhanded way, only at the end does Sherman reveal that Ailes refused to talk to him. The book is, in effect, a compilation of Ailes’ memorable public barbs and bon mots. These are often presented as direct quotes, creating a puzzling effect: You want more, but the author, with only his Ailes bits and bobs, can’t give it. Sherman is not a very good writer. In a peculiar afterword, he comes oddly close to admitting this, lavishing thanks on all those who supplied him remedial help. (He calls the book a collaboration). This help is not enough to overcome his relentless, flattened newsmagazine sentence structure (bad enough in short magazine bites, murder in a whole book). But the even larger issue is the architecture of his story—the whole is never greater than its parts. It takes almost half the book to meet the Ailes of moment and consequence. Before that we get a plodding biography of someone who is fundamentally an insider player, whom we have no connection to or reason to be interested in. Believing we shouldn’t like him is not the same as caring about him. Sherman tries awkwardly to connect Ailes’ childhood to the later Ailes. “The television screen was Roger’s classroom,” intones Sherman. Although Ailes was born in 1940, and television would not begin to be a significant presence until Ailes was well into his teens. Because of Ailes’ acting experience in high school, Sherman somehow concludes that “Ailes was a natural broadcaster” by the time he reached college. “Making a home for himself was also a way for Ailes to find stability,” writes Sherman about Ailes’ first marriage—a fair representation of the book’s psychological depth. Ailes’ rich and opportunistic relationship with Richard Nixon hardly inspires Sherman’s analysis. “The legend of Roger Ailes has it that he almost single-handedly transformed Nixon from a schlump to a president with his talk-show alchemy. But the truth was more complicated.” You don’t say? Along with conservative politics, it is basic business that Sherman dislikes. “Ailes treated journalism as he treated politics—it was another market to monetize,” writes Sherman, scornfully. “Ailes inspired young producers eager to advance, but clashed with senior employees who posed threats,” says Sherman, turning the personality push-pull of any television production, or, for that matter, any career, into a morality tale. No, Sherman does not like Ailes. Can’t stand him. Looks down on him. Is holding his nose the whole time he writes about him. Sherman’s approach is standard magazine journalism, an aggregation of known facts—a clip job—and then some added-value source or quote or reveal. But without access to any of the principals in the story, Sherman is forced to rely on those people who will talk to him, and, with News Corp., Fox, and Ailes adamantly locked down, almost all of his sources are people out to settle scores with Ailes. What’s more, the technique Sherman uses incorporates a source’s views into the narrative, making it extremely difficult to unravel whose version with what ax to grind we are being served. Bob Wright, NBC’s former chairman, and a man famous for his grudges, gets to tell, in unflattering fashion, the story of Ailes’ tenure running CNBC. Executives displaced by Ailes’ hiring at News Corp. tell the story of his arrival there. (Sherman says Ailes called Rupert Murdoch to solicit the job, while, in fact, Murdoch tells the story with him calling Ailes first.) The pivotal event in Fox’s early years, the network’s coverage of Bill Clinton and Monica Lewinsky, is told by David Shuster, the reporter who initially covered the story for Fox and then, disgruntled, left for MSNBC. Cynthia Talkov, another disaffected Fox reporter, appears to be the main source for Sherman’s dissection of Fox’s 2000 Bush-Gore election night coverage. Brian Lewis, the former Fox PR executive who continues to have a raging public feud with Ailes, is a source throughout much of this section. The story of Murdoch’s oldest son Lachlan’s tangle with News Corp. executives, including Ailes, is a version provided by Murdoch’s son-in-law Matthew Freud, who has waged a famous public spitting match with Ailes (causing his father-in-law to stop speaking to him). Freud is not openly sourced in the book, but the story as told here is the same version he has provided to me—one at odds with many other sources. The version Sherman presents is full of greater and smaller errors and misinterpretations. The greatest of these places Ailes as the central plotter against Lachlan, who left the company in 2005, whereas it was, in fact, then-COO Peter Chernin who defenestrated Lachlan (and who was himself ultimately shown the door). Ailes’ and News Corp.’s contretemps with book publisher Judith Regan is told either through the eyes of Regan herself, not a source that I can fathom anyone taking uncritically, or by cherry-picking the version of the facts partial to her (and mostly supplied by her) in the news coverage at the time, and ignoring the more plentiful material that discredited her. The assertion that she got Murdoch’s permission to pay O.J. Simpson for a show she proposed to do with him is entirely untrue. Murdoch had not spoken to Regan for three years before this. Nor, as Sherman says, was it Jane Friedman of HarperCollins who unilaterally ordered Regan fired—this was a carefully plotted strategy at the highest reaches of the company. Sherman characterizes Regan’s payout of $10.75 million as a victory, whereas that was the amount owed to her under her contract. Her suit was an effort to get more beyond that. It’s a cacophony of resentment and inevitable distortion—with more than 400 unnamed sources by my count. But it is not just that Sherman is telling the story wrong. He is telling the wrong story. Sherman, similarly to what Aaron Sorkin does in the reality-bending HBO show The Newsroom, treats his subject like an all-powerful network colossus—albeit, a network gone to the devil. But this is not network television, it is, in an altogether different context, culture, and effect, cable. Even though we are politically far apart, over the years I’ve had many occasions to talk to Ailes and interview him (which prompts me to wonder why Sherman had so much trouble getting to the always-talkative Ailes). In every instance he has been not just extraordinarily open, but marvelously expressive about what he does. It’s remarkable and entertaining conversation. Beyond his conservative politics, which have evolved over his lifetime, Ailes holds a much more long-standing worldview, which is about outflanking anyone, conservatives included, who is more earnest, self-congratulatory, sanctimonious, and sentimental than he is. Ailes is always the other. He is the rebel, destructive or otherwise. He’s the guy who upsets the apple cart. Arguably, that apple cart includes the Republican Party, which is more often than not caught off-balance by Ailes—not good politics if you are a Republican, but good television if you are Ailes. The frame of this story might have more helpfully and dramatically been the fall of media as we know it and the rise of insurgencies, of which Ailes is one. The lessons to be learned from Ailes are less about politics than about the way to profitably redefine and speak to segmented audiences—quite an opposite notion of Sherman’s thesis about dividing the country. Ailes hasn’t divided the country. He’s chipped off his own profitable piece of it. Sherman’s bias here is not just political. It’s temperamental. Ailes is, by nature, a troublemaker, and Sherman, one suspects, is by temperament a good boy. A more astute analysis than Sherman cares to or is able to give might have made for an exciting book. It’s the whale’s strength, agility, and instincts that we want to know about—not its size. We already know a whale is big. The Loudest Voice in the Room: How the Brilliant, Bombastic Roger Ailes Built Fox News—and Divided A Country by Gabriel Sherman. Random House.